The story continues on from the last book. Even though its volume 3 I'm still intrigued as to what happens next and find myself getting carried away with the story. Looking forward to the next one. Ms. Kelli has done it again! This series is constantly full of surprises that keeps me on the edge of my seat and invested to the very end. Piper is one of my favorite heroines and does not disappoint with her continued strength, determination, and selflessness. Nicholas and everything he went through in this book made my heart ache. He is the perfect book boyfriend with his undying love and devotion. The constant suspense and action packed adventures make this a truly addicting read. 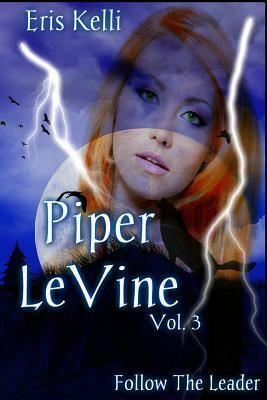 I can’t wait to see what else is in store for me with Piper LeVine. If you haven’t picked up this series you should! It is that good! I got so pull in that I couldn't put the book down!!! I love the new characters in the book.. I have to say Lucy is one of my new favor, she is so caring and would do anything to help out anyone who needs it!!! It's a sooo must read!!! If you have not started this series yet then check it out and I hope you fell in love with the wonderful and amazing characters in this series like I have!!!! I can't wait for the fourth book to come it it's call Piper LeVine They Call Me Assassin!!!! Eris Kelli - Eris Kelli grew up in the pacific northwest as the youngest of eight children. Her writing is fueled by her love of adventure, learning and her drive to explore an idea. She now resides in Midwest America, with her husband, two beautiful children, and happy old dog. Contact Eris on Facebook at facebook/#!/erislli LIKE Eris at facebook/erislli#!/ or her website at eriskelliauthor Check in with Eris for upcoming projects!